Why would I need self storage in Langhorne, PA? There are a variety of reasons why you might need self-storage in Langhorne, PA.
How much is a storage unit in Langhorne, PA? The cheapest storage unit in Langhorne, PA is $43.00 per month. What size storage units do you have available in Langhorne, PA? In Langhorne, PA we have sizes that range from 5'x5' to 10'x30' to suit your storage needs. How much is it for a 5'x5' storage unit in Langhorne, PA? The cheapest 5'x5' storage unit in Langhorne, PA is $43.00 per month. Langhorne is a small borough in Pennsylvania's Bucks County, conveniently located just 25 miles northeast of Philadelphia. Whether for work or play, you can easily travel to Philadelphia for work or play, which is conveniently accessible by bus, commuter rail or car. Langhorne is a historic community that's home to a mix of families, retirees and young singles. 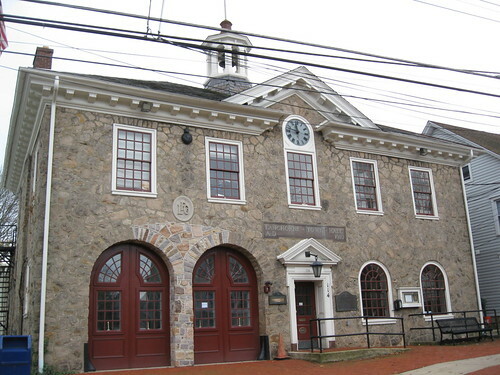 Like much of the Philadelphia area, Langhorne was established in the 17th century. Due to the borough's proximity to both Philadelphia and Trenton, New Jersey, the area grew steadily through the 18th and 19th centuries. It served as a major stagecoach hub for Bucks County, witnessing a large number of travelers. The area was known as Attleborough until it adopted the name Langhorne, named for early resident Jeremiah Langhorne, who later became a prestigious chief justice of the Pennsylvania Supreme Court. The Langhorne area continued to grow through the 20th century, as Philadelphia residents sought more space to expand and a quiet suburban home away from the busy city. Since the 1970s, the local population has remained fairly steady, with the exception of a small boom in the 1990s. Businesses large and small make for a diverse economy in the Langhorne area. Bucks County's largest employers include Central Bucks School District and Neshaminy School District, along with health care facilities St. Mary Medical Center and Doylestown Hospital. Retailers Giant Food Stores and Walmart also provide many jobs in Langhorne. If you're going to be looking for a job in Langhorne, it can be useful to know the local economy's major industries. In Langhorne and the surrounding Bucks County, trade and transportation, professional and business services, and education and health services are all thriving. Construction is also growing quickly, fueled by ongoing growth and development throughout the county. Langhorne students attend schools in Neshaminy School District, which serves most of Bucks County. Within Langhorne, you won't find much in the way of private school options. However, you can always enroll your child in one of the private schools in a neighboring community. Utilities: The Bucks County Water and Sewer Authority manages Langhorne's water and sewer services. PECO is the primary energy provider in the area. Garbage and Recycling: Trash is generally collected twice a week, while recycling is picked up on a weekly basis. It's recommended that you place your cans curbside the night before your collection day, because collection trucks often come very early in the morning. Transportation: As part of the SEPTA transit network, Langhorne is home to a SEPTA rail station with a park-and-ride lot. Langhorne has single-family dwellings and multi-family units to suit nearly every preference and budget. You'll find many options, including large historical homes, modern apartments and new-constructed houses. Most people in the community own their home, though you can find some rental properties in Langhorne as well. Our lowest priced units in Langhorne, PA average $43.00 per month. 74 people have reserved units in Langhorne, PA in the past 30 days. There is 1 location within Langhorne, PA's city limits. There is 1 location in Langhorne, PA that offers AC and Heating features.